It's fun watching you experiment with this. I'll have to try toe-up again; I've only done one, and it wasn't my best effort. I was doing too many things at the same time, too! I like the flap and gusset, and I think I'll try it with heel stitch under the heel. That's where my socks wear out, eventually. 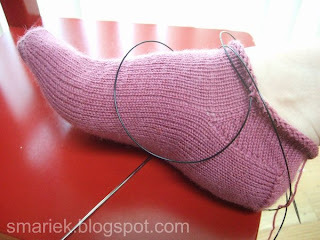 I also work my socks with 3 or 4 holding needles, usually 3 on the cuff because it's faster, but 4 on the foot because the symmetrical needle placement helps me see where increases/decreases go. Practice, Practice, Practice - that's what it takes, I am decent at getting a sock that fits now, I just have to knit with a needle that is one size smaller than the pattern calls for. 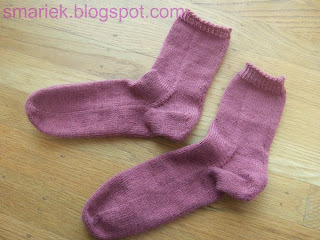 You might want to try the Sweet Pea sock on Knitty, it's really darling on. 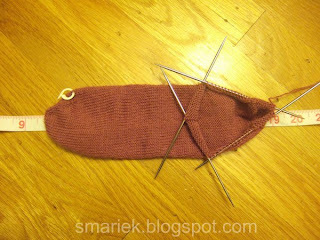 Also I have less pointy socks, I do three rows of decreases (each row of decrease is followed with a plain knit row) beginning with the area over the little toe, so the socks fit my foot better. 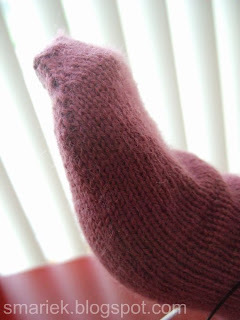 Then begin the normal toe decreases on both sides( this is on a top down pattern and not on a toe up pattern). Sorry rambling too much. Enjoy your sock knitting experience - you will be fabulous as usual. I love reading you explain things, I am always too rushed to document what I am doing or thinking so I am usually clueless. You are so smart. I love how much you're practicing this! Hats off to you! Nice. I like the color you chose as well. I might have to give toe up a try again since yours look so good and dare I say...easy? Each time you make a sock you get better, so keep at it. Your pink socks are lovely even with the quirky bits. So the next pair of socks will fit even better! I wore my first pair of socks for a year even though the toes were a bit long (like yours), the actual sock a bit loose, and holes at the gusset. It reminded me of how much better I got with each new sock I made. 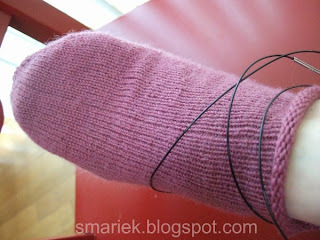 Sock engineer! They look good! I need to do toe-up socks as well and for the same reasons. Can't tell if cuff down socks will fit! Love your socks! Congratulations! I am SO not ready for socks. I am knitting some fingerless gloves/wrist warmers/whatever you want to call them in the round from sock yarn. I am using 2 circulars, because I cannot work with DPNs. I've been working on it for weeks, but my hand cramps after only as few rows, so it's incredibly slow going. 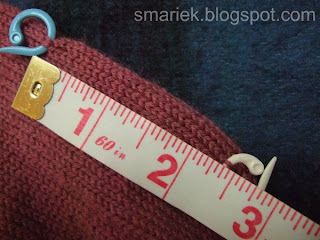 Luckily, I have other quick-knit projects that I can turn to when this one gets me down. These socks look great, BTW. Your socks look wonderful!!!! 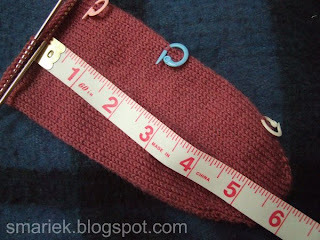 If you are using Judy's Cast-on I put on 14 stitches (7 for each of the 4 needles). I find this does not give me pointy toe syndrome. my kind of woman....the Supreme Experimenter and all its perturbtions! very cool! I love the color, and I think you did a great job making your socks! They look great! Did you use any references for the heel, or just wing it? I've seen several sources with how to do a heel flap heel from the toe up, but I'm scared to try any cause I've been happy with the top down one. So if your's works, that's great! 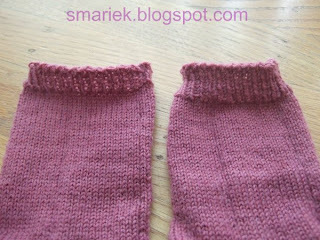 Is the pattern you used for the toe up socks a free pattern? If so, can you please tell me which one you used? I need to find something easy that's toe up to try so I can make sure they'll fit me.